Now, you might not think ponies, trans-dimensional monsters, and death-dealing chefs go together, but you'd be wrong, sucker! This week, a project evades death with some clever reimagining, friendship and nightmares await you in Ponyville, a team of indies delivers one huge pay-what-you-want deal, and more. Sorry Kids, Still Too Freaky Just a few months after we initially featured it, Slenderman Stories: The Orphanage, an indie horror adventure work-in-progress by the ShadowShifters and bound for Steam's Greenlight service, hit a major roadblock when the rights to the "Slender Man" property were sold. 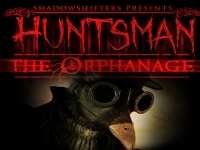 Rather than deal with rights and licensing issues or crumple and cry in a corner, however, ShadowShifters has risen to the challenge remarkably by rebranding their project Huntsman: The Orphanage and creating an entirely new and deliciously creepy antagonist. The Huntsman is a being that can apparently unravel time and reality around itself, pulling its victims into the darkness between worlds, and trapped within the remains of an old orphanage, you seem to be next as you race to save the soul of a boy named Charley... who happens to be your ancestor, and whose demise will mean you simply cease to exist. The new design looks fan-freakin'-tastic, and to see the developers rally to the creative challenge instead of rolling over is really inspiring. If you want to meet the Huntsman soon, keep your eyes out for a playable scene on the way, and head on over to the official site and Steam Greenlight page to learn more. Indies + Games + You = TOGETHER FOREVER The "pay what you want" Bundle in a Box sale is back, and that's great news for those of you who like awesome indie games, DRM free, and to support charity, the developers, and future developers to boot! Pay the minimum and get five great games, everything from real-time strategy to adventure and more, or pay above the minimum and get four more swank indie games in the process. 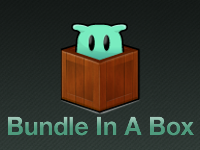 What's neat is that Bundle in a Box has an Indie Dev Grant, where you can vote on a developer whose project you love so they can get a chance to win a chunk of the money earned by the bundle to spend on their own work. Personally, I have difficulty with these "pay what you want" deals because I get anxious over paying less than what the bundle is really worth, even if I'd be getting it for one specific game, so I end up just not getting it at all and making wistful sighs and doe-eyes at it from across a room. But with so many great games on offer here for such great causes, how can you go wrong? Where In the Hay is Photo Finish?! 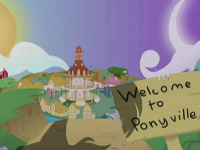 Act One of Filly Gamez hugely ambitious visual novel adventure Welcome to Ponyville has been out for a while now, and while this first installment is ultimately too short and too linear to really manage an article of its own (yet! ), it's definitely worth a play if you're a pony fan and sporting a Windows PC. (Sorry, Mac and Linux.) The game stars you as a male or female pony (unicorn, pegasus, or earth) just starting out in Ponyville and looking to earn a few bits as well as make a few friends. And, you know, maybe get rid of these mysterious and unsettling nightmares that have been bothering you. The game is fully voiced with some pretty remarkable talent behind it, and there are a lot of ponies to interact with... everyone from the Elements of Harmony themselves to fan-favourites like Lyra and BonBon, Doctor Whooves, and many many more. The team promises the upcoming Act Two will be longer and "more intense", but in the meantime you can get yourselves started and begin speculating as to what the meaning is behind the creepy dreams your protagonist is having! Horror By The Byte A point-and-click horror adventure released in short online episodes? It could work! 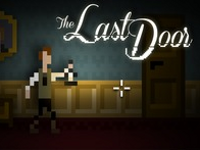 At least, we hope it will, because the Kickstarter page for The Last Door is some seriously swank looking stuff. Planned to be released as 15-40 minute playable "episodes", this classic-styled adventure game is about a fellow who receives a letter asking for help from an old friend, but when he arrives at the house in Sussex, it seems like something horrible is going on. Because England is so heaving with horribleness that any game set there is legally required to be a scary one. The intended format is an interesting idea. The first chapter will be free for everyone, while premium users will get new chapters before anyone else, and each time a new chapter is released, the previous one goes free to play as well. It looks and sounds particularly intriguing, but if you're the sort of person with a terminally short attention span then the concept of waiting weeks for new, short pieces of a game might not appeal. If it sounds like your cuppa, then head on over to the Kickstarter page to learn more. Allez Action Adventure! Everyone knows cooking is rad, therefore a game where you play a traveling warrior chef delving into dungeons for the chance to challenge the dastardly FonDoom for the OmNomNomicon has to be even radder. 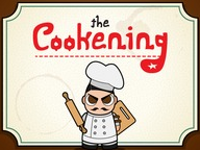 The Cookening, up for funding now on Kickstarter, is a quirky little 2D open-world action/adventure where, as Master Chef, you'll be doing just that, duking it out with your rolling pin and cutting board against monsters. While the classic gameplay will bring in a lot of starry-eyed nostalgics, the whimsical concept and food-filled design is the sort of perfectly silly, fun stuff that looks like it would be ideal Saturday-morning gaming. Check out the official Kickstater page to earn more, and get back to me if you figure out how to mod in Alton Brown as a playable character.